Listing of membership on our website. Notification of events and functions. Vote on annual board position vacancies. 4 tickets of your choice to either the Ghost Tour or Chocolate Crawl. A link to your business or organization on our website. One sponsored ad on Social Media per annual membership cycle. 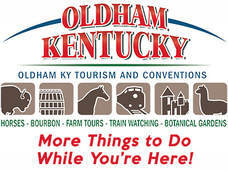 $100 off Oldham County Chamber Membership. ​Vote on annual board position vacancies.